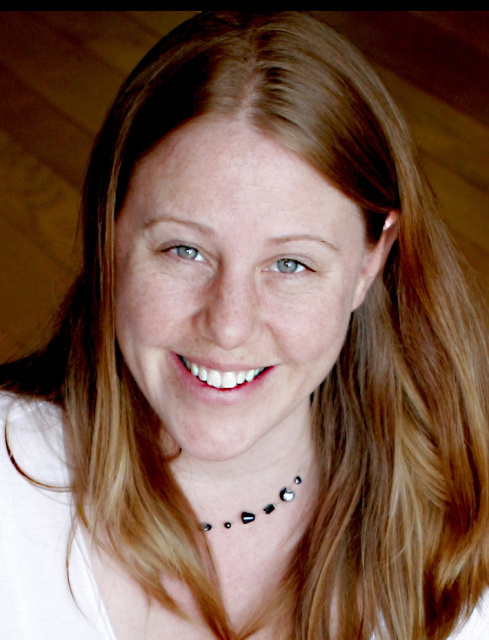 Cristin is a certified DONA International Birth & Postpartum Doula and Birth Works® International Childbirth Educator. Additionally, she has breastfeeding training from Lactation Education Resources and Doula Institute of Northern Virginia. She was as a doula for Momease and Mother & Baby Matters in DC, a Brussels Childbirth Trust Early Days Supporter and Group Leader for new moms. Her daughter was born at home in the water and laster she had twin boys, so she's often busy enjoying her three radiant children! Cristin believes that educating and empowering mothers during pregnancy is key to create a peaceful world for our children! She founded founded Conscious Empowered Birth after her daughter's birth in 2008 in Brussels. It was a wonderful, natural homebirth in water, but due to retained placenta she went to the hospital. The manual removal required an epidural (gone wrong by an unsupervised medical student) with the loss of cranio-sacral fluid causing spinal headache, then a blood transfusion with poorly managed IV led to extreme fluid retention. Shocked by the poor inconsistent care after, she left the hospital against advice. Family helped and over time all was fine. Later, after getting pregnant while living in West Africa, she traveled to CA to find support for a natural birth of her twin boys. Despite a perfect twin pregnancy (full-term with both boys head down), a fantastic birth plan and supposed healthcare provider support, she was pushed to get a cesarean (due to perceived liability). Having requested prior breastfeeding support for twins, after the staff gave formula to the boys without consent, the counselor showed three days late, and the nurse threatened to call social services when we wanted to try exclusive breastfeeding (both boys were healthy at ~6.5lbs at birth and had lost only a few ounces the first days). Cristin knew some of their experience was not right. So she decided to empower women to know their ability to birth naturally, to know when technology can really help, and to be informed about the risk of cascading interventions. Cristin has Masters from Yale University in environmental health and from Johns Hopkins University in International Health Policy. She is also a Kundalini Yoga Teacher/Trainer,with advanced training in Conscious Pregnancy© Yoga, Excel & Celebrate for Women, Relax & Renew (Restorative Yoga)® and Healthy Moms® Perinatal Fitness. Cristin teaches Itsy Bitsy Yoga® for moms and babies. For five years, she owned Spiral Flight, then Washington DC’s oldest yoga center and after lived and taught for two years in Belgium, three years in Ghana, in Florida and in Haiti. She is a member of Birth Works® International, DONA International, International Kundalini Yoga Teacher Association and Yoga Alliance. Leda McDonald worked as a back-up birth/labor doula, when Cristin was based out of Brussels. Leda grew up in farmland in southern Ontario, Canada, watching the births of animals with fascination. Through two years travelling Australia and living in Europe, she gained new interest in birth. She is training as a birth/labour doula with Childbirth International. She is excited to be in a field with so much diversity, to be working so close to miracles. She is articulate, well-read, intuitive, and eager to offer her care and support. You can email her for doula support in Toronto, Canada where she lives now.